It is artistically designed and worth adding to any home interiors. 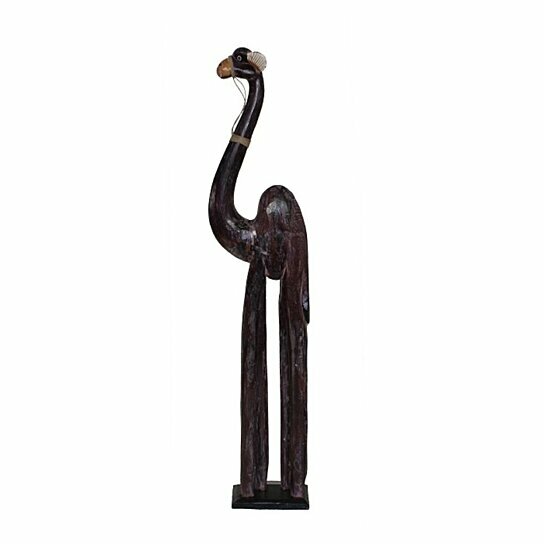 This camel figurine is exclusively designed that will instantly seize the attention of its on lookers. It is made from wood and painted in shades of brown. Handcrafted this camel is from wood, that is worth appreciating. It will suit a range of home interior from traditional to modern homes. It can be placed on the mantel, side table, console or inside showcase. This camel is easy to relocate.